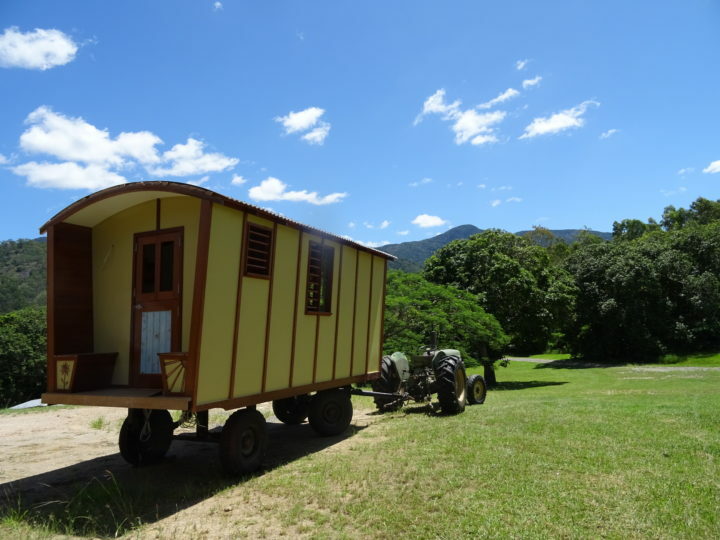 We’re really proud to present our new hand built full size gypsy wagon styled on the traditional Romany gypsy wagons of old but with a distinctly modern and Australian twist in line with everything we do here at Sweetwater Lodge. This beautiful addition to our accommodation options at Sweetwater will offer guests a uniquely Australian experience as it finds its way to its own little area creekside on our beautiful property. Complete with cosy queen size bed, kitchenette, dining table and stools and a cute ensuite boasting toilet and handbasin it will also have a lovely undercover area of its own with bbq, camp stove, private outdoor shower and lounge area. Time to turn back time and find the gypsy inside you! Ideal for the Gypset who have a passion for travel and all things nature with a coating of luxury, which is after all what Sweetwater is all about. Watch this space for our offical opening of this amazing new space!